This is a real classic – Tim Minchin’s inspirational speech to graduates on his being awared an honorary doctorate. It has a lot of wisdom in it and the ideas are concisely, but effectively, expressed. You don’t need to be superstitious to be a poet. You don’t need to hate GM technology to care about the beauty of the planet. You don’t have to claim a soul to promote compassion. Science is not a body of knowledge nor a system of belief; it is just a term which describes humankind’s incremental acquisition of understanding through observation. Science is awesome. Scientists will love this speech – so will teachers. Stephan Lewandowsky from the University of Western Australia has a very topical opinion piece in The Drum (see The difference between scientific debate and phoney talkfests). 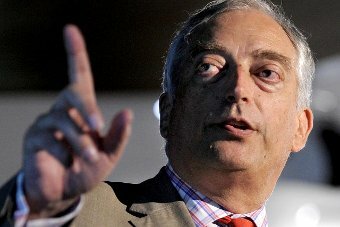 Topical here as well as Australia because some local climate change deniers/contrarians/sceptics are attempting to finance a visit from Lord Monckton at the end of his current Australian tour. That may not come off (they are currently attempting to find a few donors willing to put in large amounts of cash) but the article is still relevant. And we should keep this comparison in mind when these local organisers demand that scientists debate Monckton at public venues. We should recognise this is just their way of attempting to get credibility for minority ideas be getting a place on stage with the real experts. After all, aren’t we justified to ask – if Monckton has any credible point to make why did he not attend, and contribute to, the IUGG General Assembly? “Does this mean no debate is ever possible? And the door to scientific debate, on climate or HIV/AIDS or Prospect Theory, is wide open to anyone, even occasional travel photographers: all they have to do is to become knowledgeable in a field and subject their ideas to scrutiny by publishing in the peer-reviewed literature.